Can You Have a Terrible Co-parent and Still Be Happy? You have a co-parent that drives you insane. It can feel like you are imprisoned by them. You can’t escape them because of your children. It can feel like a life sentence. Is it possible to be happy anyway? Yes! The trick is learning how to invest your energy and power into things that will enhance your life, not detract from it. If you follow these simple rules, you will be amazed at how much different your life can be. Create solid goals. What do you really want? You want happy healthy children. You want good connected relationships with your children. Remind yourself of your goals every day. Holding your goals at the forefront of your mind will enable you to assess whether what you are putting your energy into is actually in service of your goals. Educate yourself about what helps children develop in a healthy manner. What children need is actually pretty simple. They need you to tune into them. They need you to be present. When you are expending emotional energy on what is going wrong, you are not putting energy into doing what would help you achieve your goals. You can do what your children need no matter what your co-parent does. Don’t try to control what you can’t control. You can’t control your co-parent. Trying to is a massive waste of energy. Accept that they are who they are. Be wise about how you actually can affect change and how you can’t. There are things you have to and should fight for, but other things that you will never get, and will only be a waste of time and energy. Let go of those things. Put your energy into what you can control. You have an extraordinary amount of power to impact your children and their healthy development. Stop squandering your precious energy! Be present to your children! Put your energy into understanding them and their needs. Create close, connected relationship with them. Cultivate trust. A strong trusting relationship with your children is something that nobody can take away from you. It doesn’t matter what your co-parent says about you or what they do. If you focus on being wise about your relationship with your children, there is nothing your co-parent can do to undermine it. Have confidence in yourself. You are a strong parent. Trust yourself. Walk tall and strong. You can give your children what they need no matter what your co-parents does. Don’t give your power away by letting your co-parent invade your headspace. You can cultivate joy and positivity, even if things are difficult. Life is like a huge mosaic. The difficulty we experience is part of the mosaic, but so are all the wonderful and beautiful things that are happening in every moment. Without denying the truth of our difficulty, in any moment you can turn your attention toward what is good: your child’s smile, a beautiful cloud, a flower, the fact that there is food on the table…etc. Your life is your own! Nobody has the power to make you miserable! Take your life back! Can You Have a Terrible Co-Parent and Be Happy? Frustrated By a Disneyland Parent? 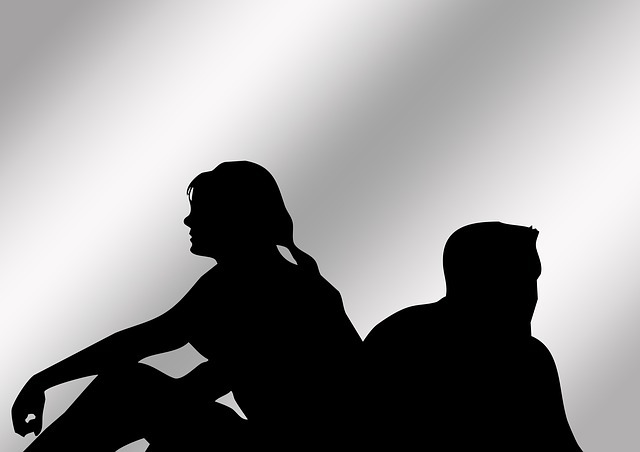 REALLY, REALLY TIRED OF YOUR CO-PARENT? 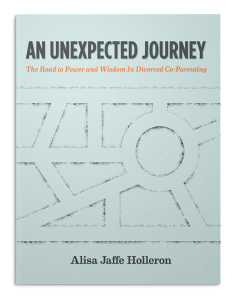 I am Alisa Jaffe Holleron, the creator/author of An Unexpected Journey book, classes and professional workshops. 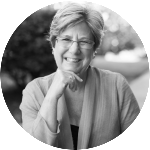 I hope you will explore my material, purchase a book, come to a class, or if you are a professional, come to a workshop, and learn about the work that I am proud to say has helped many many divorced co-parents find power and wisdom in very difficult circumstances. I look forward to serving you!